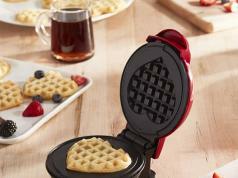 Meet the CucinaPro Bubble Waffler: a handy tool that lets you make hexagon shaped waffles with a bubbled texture. 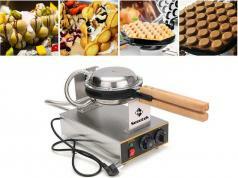 You will just need the right ingredients such as eggs, sugar, flour, and milk to get started. 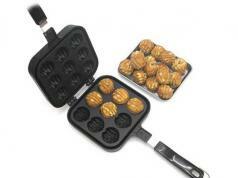 The device has nonstick coated cooking plates and an easy-lock closing mechanism. 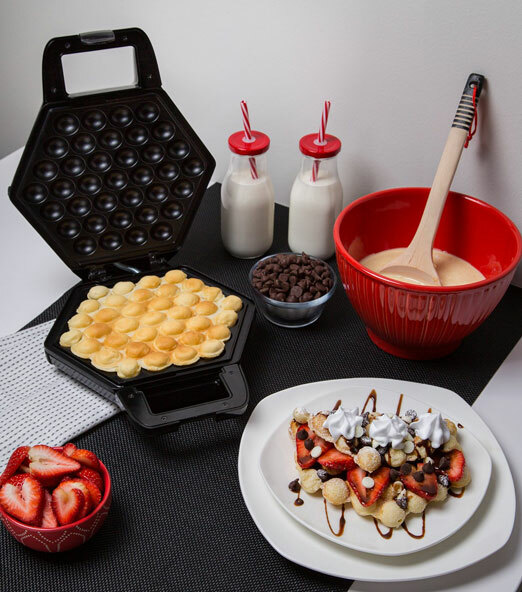 This Bubble Waffle Maker is available in two colors. It costs under $45.